A former Tampa police captain pleaded not guilty Wednesday to charges that he fatally shot another man after a dispute over texting in a movie theater, NBC News reported. Curtis Reeves, 71, is charged with second-degree murder in the shooting death of 43-year-old Chad Oulson in a Pasco County movie theater. The dispute began when Reeves asked Oulson to stop texting ahead of a screening of "Lone Survivor at Wesley Chapel's Cobb Grove 16 Theatre, according to Pasco County Sheriff's spokeswoman Melanie Snow. The argument escalated and ended with Reeves shooting Oulson in the chest, authorities say. Oulson's wife Nicole, who put her arm over her husband after Reeves pulled out the gun, was struck in the hand. A retired Tampa Police officer has been charged with fatally shooting a man during an argument over cell phone use at a Tampa-area movie theater on Monday, authorities said. 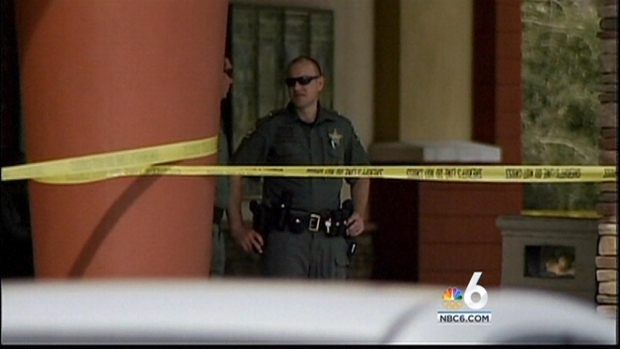 NBC 6's Gilma Avalos reports. Reeves was in court for a bond hearing Wednesday morning. Pasco County Judge Pat Siracusa ruled that that surveillance video taken from the theater during the Jan. 13 altercation can be shown in court, saying "withholding this video from public view would only fuel speculation of what’s on it." The tape will be shown after the defense has a chance to review it, according to The Tampa Tribune.